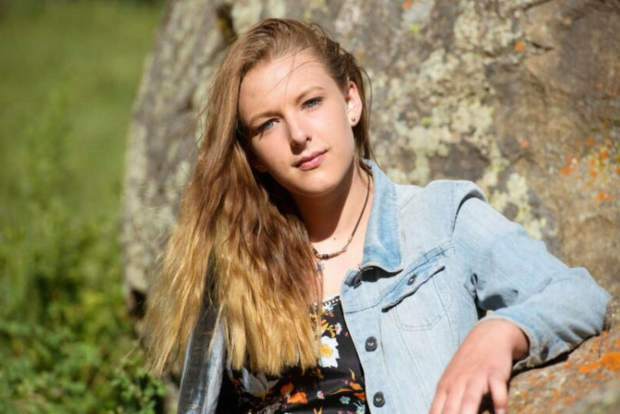 To see your 2017 high school graduate in the newspaper, answer the questions these grads answered, and email them to randy@vaildaily.com, along with a senior portrait or other photos. Feel free to be as serious or irreverent as you choose. Favorite school moment from any year: Any moment involving good friends, good music and bubbles. Give a shout out: To Jen, J-Dog and Mrs. Maguiness for keeping me sane. Shout out to the teachers throughout the years, friends and family members that support me no matter what! Summer plans: This summer I will be in Italy working as a nanny! If you’re leaving Eagle County, what will you miss most: I’ll be around but I’ll miss the community that never fails to come together when it counts. Favorite class ever: Class called Stephen King. We read and studied him and at the end we went to the Stanley Hotel. Class you wish had been offered: I think a class I wish I had been able to take was a sociology class. Favorite school moment from any year: My favorite moment would have to be at our senior year all-school retreat when we all gave our advice to the underclassmen and just ended up in a big crying hug on stage. The other classes were very confused, but someday they’ll understand the love you gain for your class. Give a shoutout to: My mom and dad, Nicky and Sean Richie! I love them so much and they have provided me with so much support and encouragement this year. I’m a little worried about surviving college without them. Summer plans: Traveling to the U.K. and Scotland for six weeks to visit family and have one last family trip before I leave. Where are you headed this fall: The University of Pittsburgh School of Pharmacy. If you’re leaving Eagle County, what will you miss most: Honestly, I am going to miss the weather! It rains a lot in Pittsburgh, and I’ve heard the winters are even more miserably cold than here! In 10 years, you’ll be: Hopefully I will have graduated with my Doctorate of Pharmacy degree and will be working in preventive pharmacy. I hope to combine my degree with a nutrition minor/emphasis so I can really work with my patients to improve their health in the best way for them. Favorite school moment from any year: Jeopardy in biology class. Give a shout out: To Brennecke and Ashlyn for being amazing lab partners. Summer plans: Work, workout/spend time in the gym. Visit family in New York. Where are you headed this fall: University of North Carolina in Chapel Hill. If you’re leaving Eagle County, what will you miss most: My family and workout partners. In 10 years, you’ll be: Completing my residency, aka on my way to becoming a doctor. Favorite class ever: Dual-enrollment biology with Mrs. Ticer. Class you wish had been offered: A life skills class. Favorite school moment from any year: Going on the New York trip with my AP Art History class where we visited the Metropolitan Museum of Art and ended up taking naps on the floor of the museum. Give a shout out: Thank you Kruegs for keeping me sane! Summer plans: I’m traveling to Morocco and Nepal to teach and volunteer. Where are you headed this fall: Emory University in Atlanta, Georgia. If you’re leaving Eagle County, what will you miss most: I’ll really miss people who don’t have southern accents and, most of all, my friends. In 10 years, you’ll be: Hopefully, I’ll have a job with a nonprofit organization where I can travel while doing service of some kind and learn different languages. Favorite class ever: AP Art History with Ms. Vandyke. Class you wish had been offered: Tree climbing. Favorite school moment from any year: 2016 State Championship Soccer Game. Give a shout out: Amy and Mike Joersz. Summer plans: Work at Sonnenalp. Where are you headed this fall: University of Colorado Boulder. If you’re leaving Eagle County, what will you miss most: The view of the valley. In 10 years, you’ll be: Making money. Favorite class ever: Mr. Hohman’s Spanish class. Class you wish had been offered: AP Chemistry. Favorite school moment from any year: Tie-dying with Mr. Vonn. Give a shoutout: Shoutout to my parents for always supporting and helping me with what I want to do. Summer plans: Working, camping, concerts and hiking. If you’re leaving Eagle County, what will you miss most: My family, the mountains and my dog. In 10 years, you’ll be: Hopefully doing ocean conservation and working with sea turtles! Favorite class ever: AP Biology with Mr. Caudill.